We stock a full range of Cuban Cigars from all of the major producers, and we hold the Habanos Gold Specialist Award! 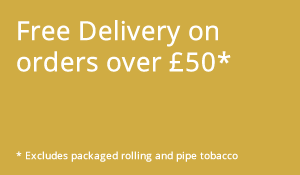 We stock over 50 flavours of loose rolling tobacco and pipe tobacco. With all that choice, we're certain we have something to suit your taste! 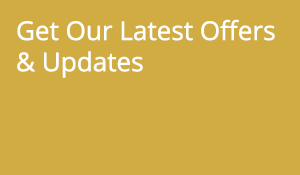 Welcome to the UK's leading cigar and tobacco specialists: Taylors. We were established in 1989 as a traditional, family run shop. This means we have nearly 30 years in this industry, with a well-earned, outstanding reputation for cuban cigars, fine tobacco & gift items - with 100% quality satisfaction. Our customer service is tailored to the individual needs and wants of our clients, making the experience from pre purchase to post delivery smooth, simple and straightforward. We are the UK’s Havana cigar specialists and we hold the prestigious Gold Spccialist Award from Habanos. We have an exclusive humidified-room, which is the largest in the South of England and we guarantee the authenticity for every cigar we have for sale in the UK. 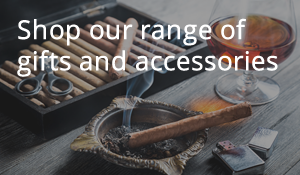 Our premium range of tobacco and gift items are chosen by hand to ensure high quality and that only the best will ever make the cut. Our brand stands for quality, professionalism and trust, which is how we can be confident that our customers will always be satisfied. Although quality is a must, we also aim for the best possible prices for our customers and so we have a guarantee: to price match any tobaccos, cigars, Havana’s and accessories that are bona fide and in the same league as our own. We import and distribute the very finest cigars, tobacco and related gifts and you can be assured that we have something for everyone. Whether you’re looking for a special gift, something to impress dinner party guests or a little treat for yourself then you are sure to find something suitable within our selections.